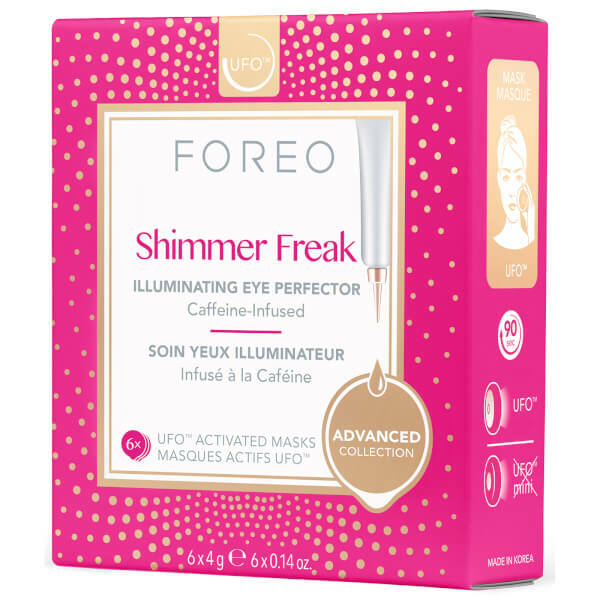 Awaken your peepers with the FOREO UFO Shimmer Freak Mask, a Korean-inspired eye mask specially formulated to be used in conjunction with your UFO smart mask treatment device. For maximum efficacy, the illuminating eye mask has been developed and formulated by top Korean skincare experts. Made from plush microfibre that glides across skin, the specialised sheet mask is infused with a highly concentrated blend of active ingredients that absorb into skin to help banish signs of fatigue and refresh the delicate eye area. The energising eye mask is infused with antioxidant-rich Caffeine for its energising properties, plus a dose of replenishing Rose Water and Niacinamide, which targets uneven tone, fine lines and dullness. 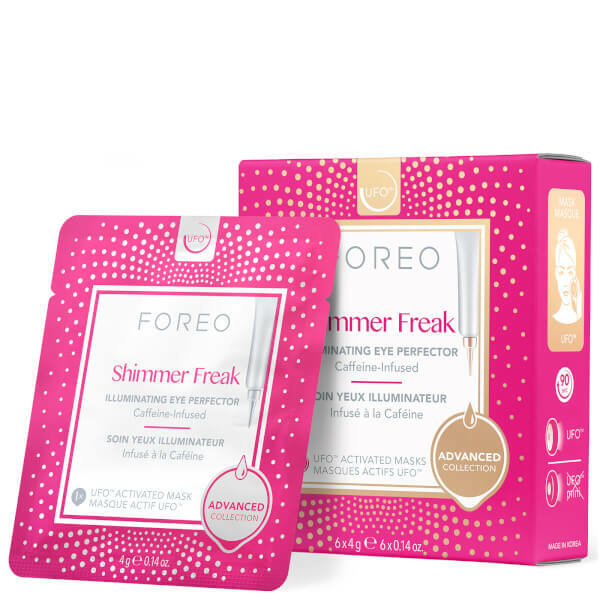 Also contains fine, light-reflecting particles to diminish the look of dark circles. Tired eyes look instantly refreshed and brighter with a hint of shimmer. 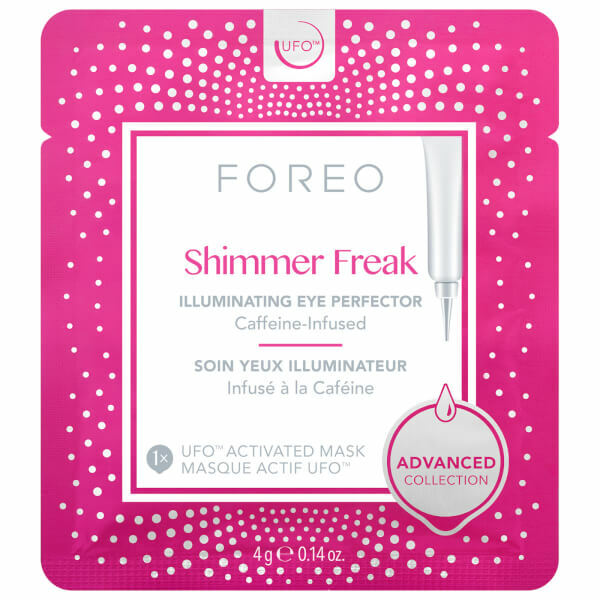 Pair with UFO’s signature Cryo-Therapy to refresh the delicate skin around the eye contour.